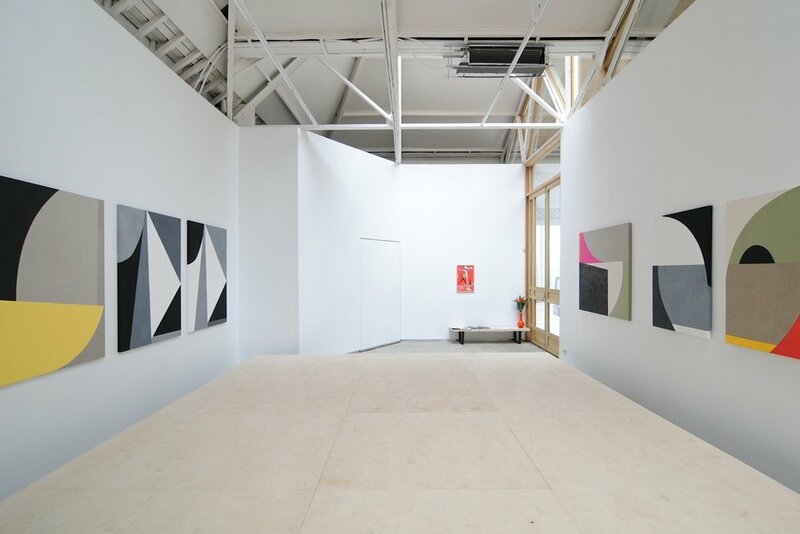 Sarah Crowner’s gambit, Ballet Plastique (2011) at Galerie Catherine Bastide, Brussels, invites the viewer to make a distinct choice about how to engage with the presence of her colorful sewn-and-shaped series of geometric canvases hanging in rows on the gallery walls: either we are solicited to reflect upon the undancing ossification of contemporary forms, or we are invited to actify the space. (“Ballet plastique” and the internal contradictions of this jeux de mots, leaves open, of course, the possibility for both). Entering Crowner’s installation requires stepping up onto a raised platform--a stage-like vantage from which we neatly dispense with the mythic functions of the white cube as a space of contemplation and aesthetic disinterestedness. Ballet Plastique implores the viewer to move, to act, to dance, in the here-and-now among the objects hung around the gallery stage. Actor, dancer, acrobat, we are invited and incited, to summon forth another function, the precise choreography of which remains unstated and open-ended. Whether this latter, pro-active, optimistic return to inter-disciplinary Modernism—-where dance and art go hand in hand--is hypothetical or actual remains to be seen. 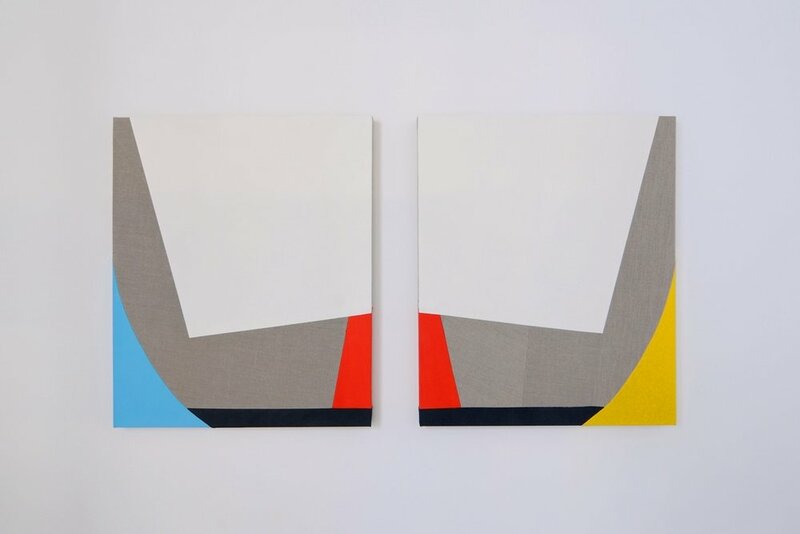 Either way, Crowner re-actifies the scenography of artistic reception: the staging of her sewn-and-painted geometric abstractions reanimates the spirit and legacy of Futurist stage sets, such as those by Fortunato Depero (1892 – 1960) and Giocomo Balla (1871 – 1958) who also designed ballet costumes beginning around 1915. * Stéphane Mallarmé’s Un Coup de dés (NRF: Paris) was published in book form for the first time in 1914.